The New iPads -- Slimmer, More Powerful, and Cheaper! Apple had a big day today. New iPads. New Macs. New OS. New iOS. Lower prices. The hits just kept coming! 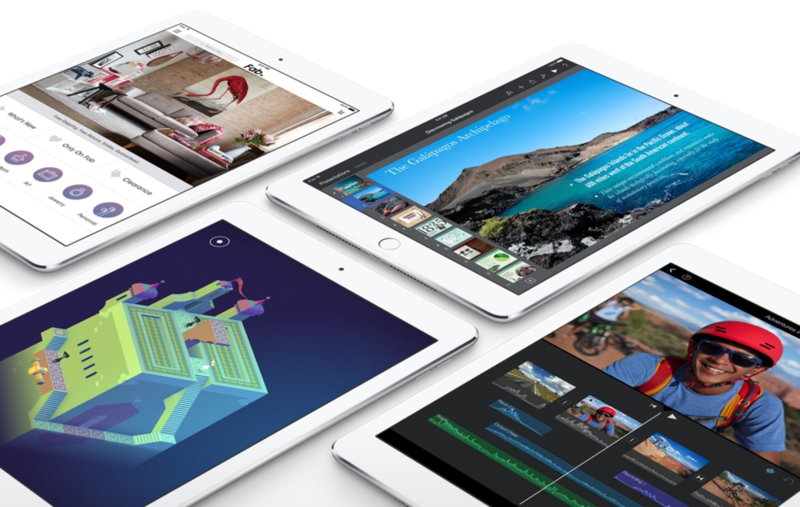 The most exciting thing to me was the new iPad Air 2. See, my current laptop is dying, and I've been considering the idea of replacing it, not with a new notebook, but with a tricked out iPad. While I won't have access to a full version of Photoshop or Premiere or Audition, the reality is that I generally don't need that much media processing power when I'm on the road. The amount of functionality in the various iOS apps avialable now is quite impressive, and most of them are a lot of fun. So far, the weak link is a decent blogging app. Right now, I'm using an app called BlogPad Pro, which is mostly functional, but very clunky and a little unpredictable. I plan to test the concept at the end of the month when I go to New York for Photo Plus Expo. I'll be using my current iPad Mini, a Bluetooth keyboard, and if all goes well, I'll also have one of the new Western Digital My Passport Wireless 1TB portable hard drives. The little WD is a neat device for people who want to work light on the road. It has an SD card slot for transferring images from my camera, and unlike most storage solutions for iOS devices, it's software allows for moving images both on and off the iPad. The My Passport Wireless has some really useful networking functions for people working on the road. You can set up a point-to-point network between it and another device for simple file transfers, or it can be set up as a baby NAS device with built-in wireless router that allows only connected devices to access the data stored on it. The net result is the ability to carry an entire network, "file server" included, in a messenger bag. Apple product images by and copyright Apple Computer. Western Digital product images by and copyright Western Digital.